Western Specialty Contractors announces the appointment of Chester Scott as Branch Manager of its Atlanta, GA branch office. Chester was previously the Branch Manager of Western’s Orlando, FL branch, which has been filled by Nick McAlpin. Chester started with Western in 1984 and has held the positions of field laborer, foreman, sales/project manager and department manager at Western’s Chicago, IL branch, in addition to Branch Manager of the Orlando, FL branch. He is a member of the Building Owners and Managers Association (BOMA) and the International Concrete Repair Institute (ICRI). 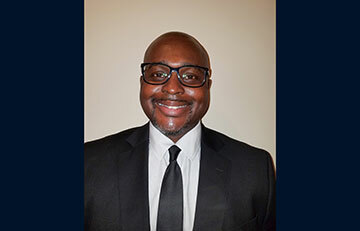 In his new position, Chester will be responsible for running the Atlanta branch office, which will include marketing, sales, estimating, oversight of operations and administrative functions, safety of all branch employees, and productivity of office staff and field crews. Additionally, he will be responsible for ensuring the branch’s profitability by forecasting and managing the budget, identifying market trends, ensuring quality control and building/maintaining customer relationships. Established in 1930, Western’s Atlanta area office provides such commercial specialty services as building cleaning, concrete and masonry restoration, waterproofing, epoxy and chemical grout injection, expansion joint systems, exterior wall coatings, plaza and parking deck restoration and exterior wall coatings.